Darboy/Solaris-New Owner Class (New time)! Stabilizer, and scrap fabric to practice on in class. 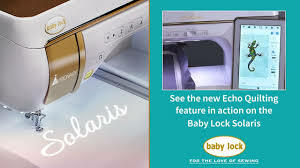 Purchased a Baby Lock solaris sewing and embroidery machine.